Hoppers Crossing is a rapidly growing suburb of Melbourne. 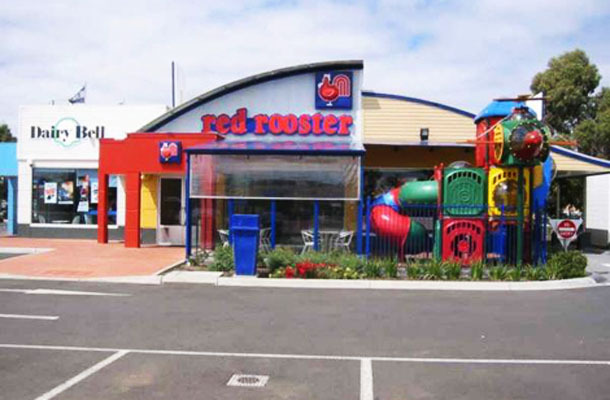 The need for services becomes apparent every day and in this case a perfect opportunity to locate a Red Rooster and a Dairy Bell Ice Cream outlet on a main road frontage, adjacent to a prominent shopping centre in Hoppers Crossing. A perfect architectural blend that satisfied the developers and the tenants and resulted in a very successful development.